Dental care is probably one of the furthest things from teenagers’ minds, but it’s important nonetheless. Approximately 60 percent of 15-year-old teens have gingivitis, the earliest stage of gum disease. Gingivitis is reversible with good dental care, but getting teens to pay attention to their teeth and gums may be a challenge. A personable, affordable dentist can help reinforce the importance of good dental care to teens, but dentists can’t be at your home to make sure they take the idea seriously. You can help by offering knowledge and guidance. The following tips outline ways to prevent gum disease in teens. When you’re lucky enough to have their undivided attention, pass the knowledge along to your teen. Teenagers don’t think brushing and flossing are cool, and they rarely understand the value of limiting sugary drinks and snacks. You can emphasize the need for healthy dental care habits by reminding teens that no one wants to kiss someone with poor oral hygiene, and they may face criticism from peers if they have obvious signs of poor dental health. Your teens may not pay much attention to the condition of their toothbrushes, but aging brushes become ineffective. Be sure to keep their bathrooms fully stocked with new brushes, dental floss, and appealing toothpastes. Regular visits to a family dentistry expert are essential. Never use them as a punishment, even if your teens have been demonstrating poor dental care. Keep the subject positive, and tell your teens they will feel better after the visit. Limit the consumption of sugary foods and drinks by keeping appealing, healthy alternatives in your home. Fresh fruits, vegetables, water, and milk are great choices. Milk may even help to prevent periodontal disease. Hormonal changes during puberty can raise the risk of gum disease in females. Be especially careful to monitor at-home dental care habits in teenage girls. Schedule professional dental cleanings for your teens regularly, and don’t hesitate to ask your family dentistry practitioner questions about their dental care. 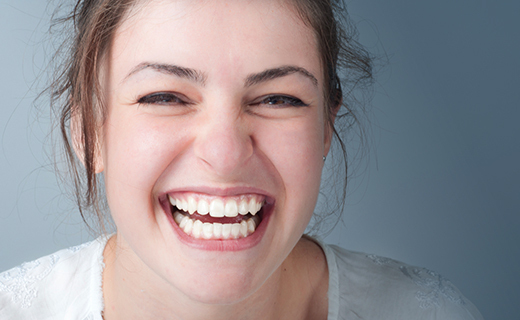 Dentists have many resources and treatments to help ensure that your teens keep great smiles for life.